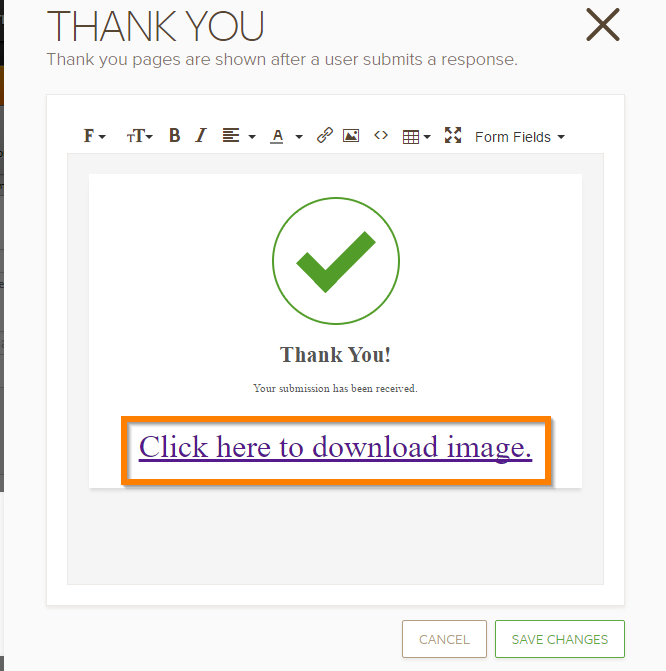 Is there a widget, where members who fills out your form can download photos? It depends on how you are setting up your form. First, you need to upload the photos that they can download in your own server or an online storage site like Dropbox or Google Drive. I anchored a text with the downloadable link to a test image. When you click you would be able to download the test image. 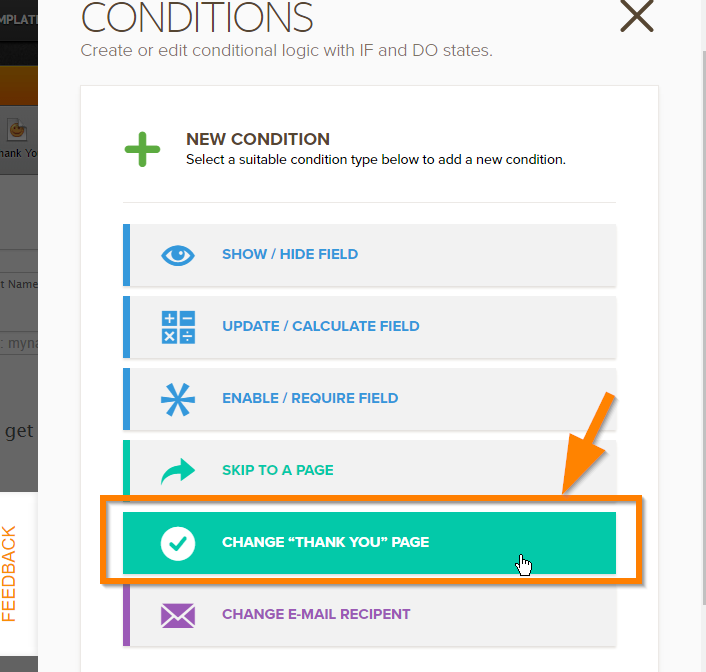 In the conditions wizard, you'll see the option "Change Thank You Page". From there, you can change the settings based on your users' input.